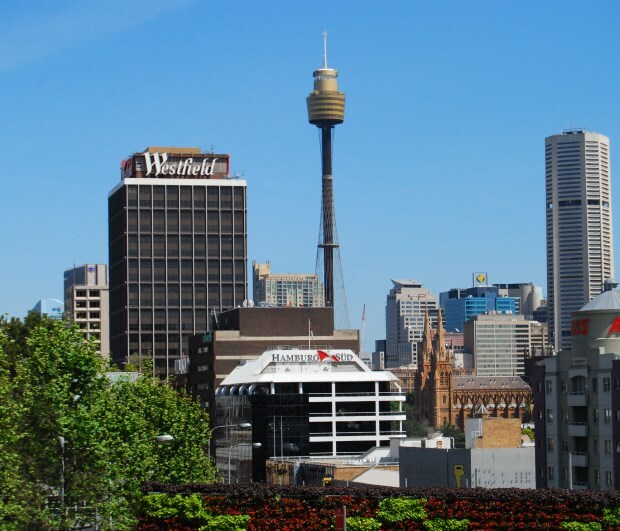 Situated far above the main Sydney Shopping area, those who are able to tear themselves away from all the bargains, jewellery, fashion and everything else should take the time to visit the Sydney Tower. From here, you can enjoy birds-eye views of the all the busy-ness of the city below and as far west as the Blue Mountains. You can also see the proximity of the ocean and where many of the this beautiful city’s Beaches are situated. Not only that, you can see the furthest stretches of Sydney Harbour. As well, you can see Taronga Zoo on its north shore, the Olympic Grounds further up the Parramatta River and much more. At the top, they have tours, which feature clambering outdoors atop the roof for even better views (Skywalk Tours). Yes, there are railings. Those who wish a bit more sedate views can of course stay on the internal observation deck, both offer fantastic views. They also have a 4D cinematic show which completes the picture. 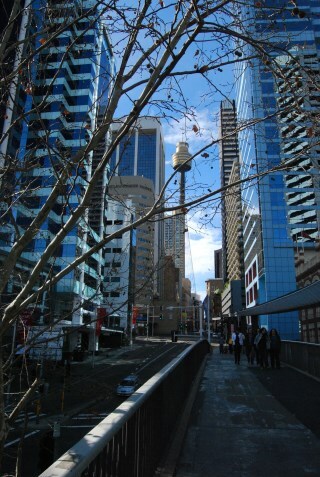 Another way to enjoy the day and the views: check out the Sydney Tower Buffet. This rotating restaurant gives you leisurely views of the city below you while you dine on some great food. Bon Appétit! Map of the Sydney Centre: Map of Inner Sydney Australia. The Tower is a great place to view the City from the Top. There are excellent 360 degree views of the city, you can go to the top to the observation decks. See also: Alan Parsons Project Lenny Zakatek: Eye in the Sky.